When it snows, those pretty icicles hanging from the rooftop and gutters look beautiful – but they can actually indicate some not-so-pretty roof damage. 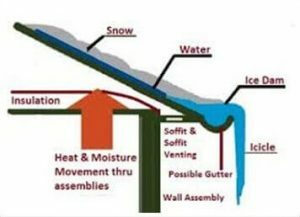 Even though the snow and icicles on your roof and gutters are common this time of year, ice dams are a serious problem. Snow buildup can severely damage your roof and will eventually end up taking away from your home’s curb appeal. 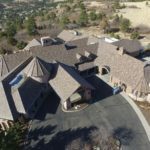 Colorado is no stranger to ever-changing weather, which means ice dams become a major threat as snowstorms quickly come through and leave snow on roofs. But then the sun comes back out and warms things up again while nights freeze the melted water. 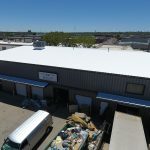 Meanwhile, the insulation keeps the inside of your home warm, but as the warm interior air escapes the home and heats up the roof deck, the snow on the rooftop melts. 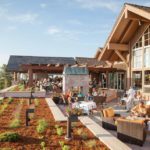 However, towards the roof’s edge (the soffit) the water cools down again and forms ice, which prevents the water from completely escaping, creating a dam near the edge of the roof. This can spell disaster, as ice buildup prevents the snowmelt from draining off of your house, which makes freezing water collect under many roof types, including composition shingles. How do you spot ice dams? 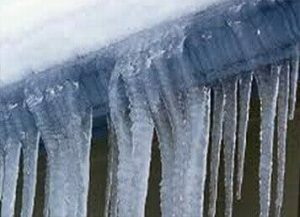 You can spot ice dams near the edges of roofs and gutters. Keep an eye out for blockage and freezing that may be causing little-to-no water drainage. The storm damage is also visible in the form of water stains on your ceiling as snow melts. Before heavy snows come in, make sure your gutters are clean and prepared to properly drain excess water as the snow melts. Roof snow removal is key. You can take a rake or push broom to your roof and knock off all excess snow and icicles that aren’t melting fast enough. This will make it easier for the remaining water to drain off the roof. Attic ventilation draws in cold outdoor air and flushes out warmer attic air, cooling the attic, the roof deck, and the roof in the process. If you need an expert to come and inspect your roof for ice dams, call ECO Roof & Solar today.